WaterWorks Water Hardness Test Strips: Can These Get Used for Pool Water? 'B.L. Pena' asked, "Can I use the waterworks hardness test on pool water?" Thank you, B.L., for your inquiry. The WaterWorks Total Hardness Test Strips (480008) CAN get used to test pool water. Soft water (low hardness) can act in a corrosive manner and 'pull' elements out of pool surfaces resulting in liner damage and/or pitting of pool surfaces. Hard water (high hardness) will not allow other chemicals such as chlorine tablets and powders or pool water balancing chemicals to dissolve in the water. Very hard water may leave tough-to-remove calcium deposits on pool surfaces. Improper water hardness balance in pool water can result in other chemicals not functioning properly. What is Difference Between Calcium Hardness and Total Hardness? Total hardness readings include concentrations of calcium as well as magnesium where as calcium hardness readings include only dissolved calcium concentrations. What is Considered Hard Water and What is Considered Soft Water? Depending upon where you look, water hardness gets reported as grains per gallon (GPG) or parts per million (PPM). To convert between the two measurements, simply divide your parts per million value by 17.5 to get grains per gallon or multiply your grains per gallon value by 17.5 to get parts per million. 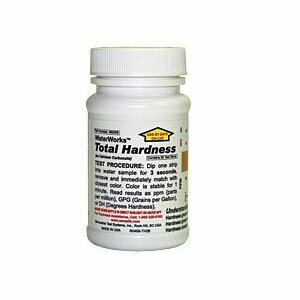 Will WaterWorks Total Hardness Test Strips Work After the Expiration Date? How long after the expiration date will they work? We recently posted an article on the topic of short shelf life test strips on this site because we get asked this question a LOT. You can read that article here: Do Tests Strips with Short Shelf Life Still Work? The answer above actually applies to pretty much ALL products that come with expiration dates if you think about it. But, in order to hedge off lawsuits from potentially disgruntled consumers with really old or poorly stored products, manufacturers do have to put a time limit out there. 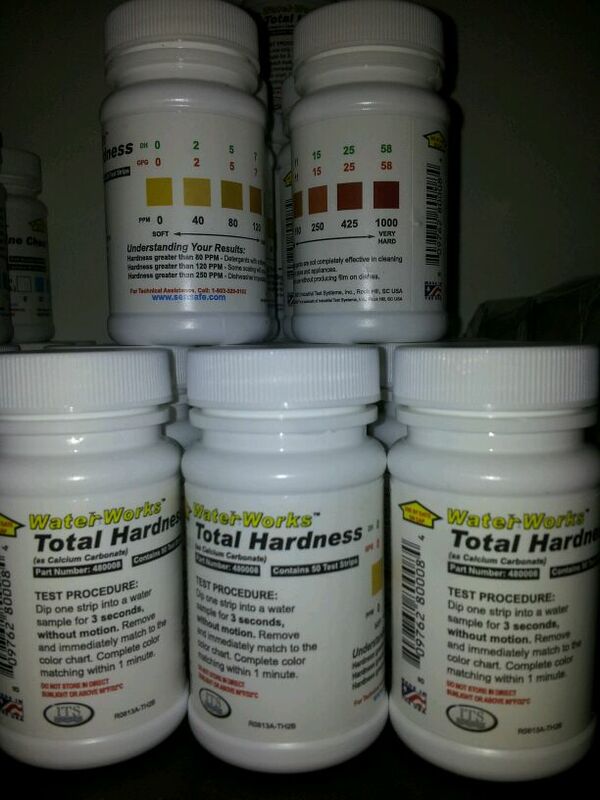 Are WaterWorks Total Hardness Test Test Strips the right product? Regarding the matter of ‘is the WaterWorks Total Hardness Test Strip the best product for you, that would all depend on what you believed you needed to test — since this product detects only Calcium and Magnesium. If looking just to make certain your water softener functions as expected, meaning it reduces calcium and magnesium hardness as described by the unit’s manufacturer, then we believe WaterWorks Total Hardness Test Strips should work just fine for what you want to do. Now on the other hand, if you have curiosity about other potential water contaminants (i.e. lead, nitrates/nitrites, coliform bacteria, arsenic, etc. ), then this product will not cover all those bases and you will want to consider a product that perhaps includes total hardness test strips as well as test for the other items you would like to test for. If the latter situation sounds more like your situation then we suggest you consider a multi-parameter water test kit like the SenSafe Water Quality Test Kit, WaterWorks COMPLETE Test Kit, or the WaterSafe City Water Test Kit. Each of the those kits offers slightly different water testing options and each comes with easy-to-follow directions that make testing one’s water for a number of critical water quality parameters a painless process. Do Total Hardness Strips Test for Iron? We received the question of “Do total hardness strips test for iron?” over the weekend from a woman named ‘DodgeGirl’ and before any of you say that’s a silly question, please remember that not everyone has had a chance, or possibly even a reason, to learn about water hardness. So, with that in mind, we would like to thank DodgeGirl for having the courage to ask a question about water hardness that many other folks may also want the answer to. What does total hardness include? While it may sound reasonable, and possibly even logical in many ways, that water hardness would include ‘hard’ substances like iron, copper, chromium, zinc, and various other water metals, a total hardness reading includes only a combination of the following two elements: Calcium & Magnesium. 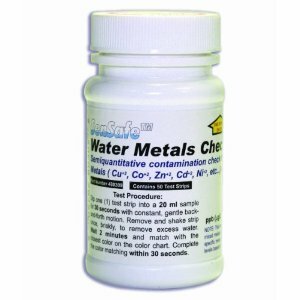 Several methods for total hardness testing exist and the easiest method, dip-and-read total hardness test strips, usually take less than a minute to use, do not require the use of potentially dangerous or hazardous reagents, and cost very little — usually less than $10 for a bottle of 50 tests. 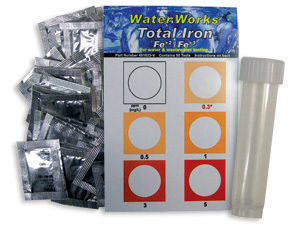 Earlier in this article we posted an image that will take you to our online store where you can purchase the WaterWorks Total Iron Visual Test Kit which, as its name implies, allows you to visually determine the amount of total iron in your water source — unlike a number of other iron tests which detect only dissolved iron. Soft Water and Soap Removal — Water Feels Slippery? Quite a few folks write in to us with questions regarding water hardness, testing for water hardness, getting rid of water hardness, etc. Today, however, we received an email from ‘jj5551212’ who, ironically, asked for information about why water produced by a recently installed water softener felt slippery. Our well water before filtering was high hardness according to the builder when we moved into our new house and we saw that the first time dishes got done. We had SPOTS on all the glasses plates and cups. Then the bathtub junk started and we had lots of scummy caked on stuff that we had to clean out of the showers a lot. SO we put a water filter in and the scummy junk all but disappeared… but water now feels slippery and like it dowes not get all the soap off us when we shower. Is that normal? After doing a bit of research we found conflicting answers regarding why softened water feels slippery to the touch. We read in a Culligan Water (Mid-Missouri) article that soft water does not have ‘scum’ (calcium & magnesium ions bonded to soap particles) that gets deposited on your skin and since your skin therefore has no ‘scum’ on it to cause friction, water then feels slippery. On a Collective Science Q & A Site we read that the slippery feeling comes from the depositing of soap ions that would ordinarily have bonded with the calcium and magnesium that the water softener took out. Apparently in the absence of those metals the skin’s weakly positive charge becomes a magnet for negatively charged, free-floating soap particles. Therefore, the deposits on skin make water seem slippery. Which do we believe? Although both answers seem somewhat plausible, we believe that the first answer has a lot more merit. Why do we believe that? Quite simply, since soft water fails to leave deposits on other surfaces that possess weakly positive charge, why would it selectively leave deposits on the skin? The simplest water test method for hardness involves using a dip-n-read testing product such as the WaterWorks Total Hardness Test Strip. Just dip the indicator test pad into a water sample, remove it, and match the developed color to a corresponding color on the product’s color chart. Will too much or too little hardness hurt me? 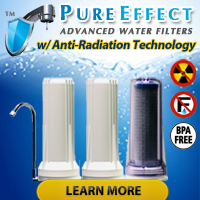 We have yet to hear of any cases where overly hard water negatively affected the health of a person and, coincidentally, we have also not heard of a case where softened water negatively affected a person’s health. Hard water WILL, however, shorten the life expectancy of plumbing, water heaters, refrigerator ice makers, washers, and any other devices that use (or transport) water in your home. Oh, and it will increase the amount of cleaning you will have to do in the shower stall to get the ‘soap scum’ off of, well, pretty much every surface. A widely spread misconception regarding the alleged corrosive nature of soft drinking water got thrashed in 1997 by a report co-authored by the WQA (Water Quality Association) and the EPA (Environmental Protection Agency)… but the widely spread misconception continues to spread. Many times in nature soft water will occur in water that has become acidic for other reasons and for the longest time people blamed the water’s lack of dissolved minerals when they really should have looked much more closely at the water’s obvious acidity problem. Got a problem with corrosion in your pipes? Test the acidity of your water with pH test strips or a pH meter because most of the time you will find that your water’s low pH is to blame. Fairytale: All soft water is salty and corrosive? We heard another interesting story involving a misinformed plumber telling his unsuspecting, naive customers that soft water is inherently salty and therefore corrosive. 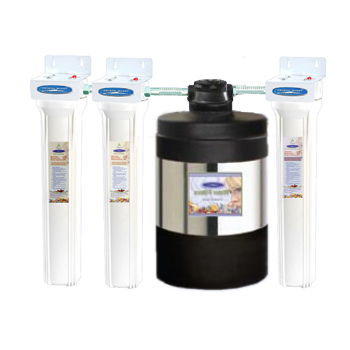 First of all, soft water exiting a water softener should not have become salty unless the salt already existed in the source water or the water softener’s backwash cycle has started to malfunction. Testing your water before it enters the water softener with a device like the HM Digital COM-100 TDS & EC Meter will tell you if your source water contains salt. Secondly, as we stated earlier, naturally occurring soft water tends to show up in water that has become acidic for reasons other than its soft or hard character. 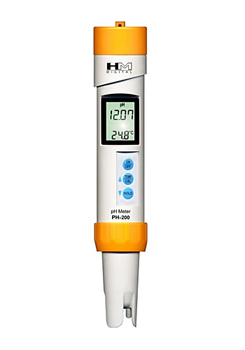 Testing the acidity of your source water with easy, inexpensive pH test strips or a more precise device like the waterproof PH-200 Water Testing Meter will tell you if your source water has too low (or high) of a pH and may need correction. The rules regarding water hardness and drinking water do not apply to the water in your backyard oasis. The unique chemistry of pool water typically requires that the water contain a lot more hardness, usually in the form of dissolved calcium, to remain in balance. 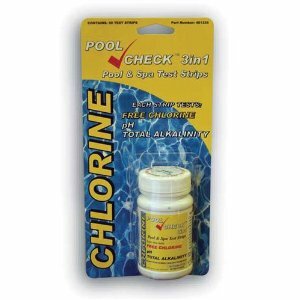 Interested in learning more about pool water testing? 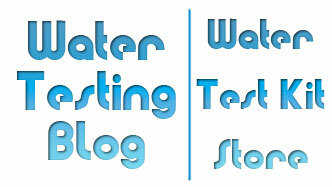 Take a look at the articles posted in our pool water archives. I Heard That Soft Water is Salty… Is It? While true that many water softeners do use a form of ‘salt’, if operating properly, they do not put nearly enough sodium, typically less than 12.5 mg per 8 ounce glass of water (source), into the water to impart a salty taste to it — especially since sodium and salt are not the same thing (see Is Sodium the Same as Salt?). A glass of water containing that low an amount of sodium qualifies for the US Food & Drug Administration’s “very low sodium” category. Why do water softeners contain salt and/or sodium? 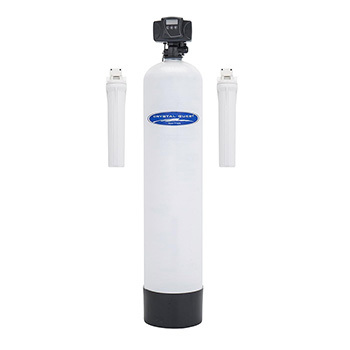 The majority of water softeners utilize a resin bed comprised of negatively charged plastic beads packed with positively charged sodium ions. As source water passes through the bed of beads, calcium and magnesium ions with stronger positive charges disrupt the sodium ions’ bonds with the beads and form their own bonds with the plastic beads. Eventually after a water softener operates for a while the supply of sodium ions in the resin bed gets depleted and when that happens the resin bed must get recharged using a concentrated salt brine solution that more or less overpowers the collected calcium and magnesium and causes them to become dislodged from the plastic beads. Sodium molecules then take their place on the resin beads and the magnesium, calcium and excess sodium molecules get flushed out of the system. After a properly completed flushing and rinsing, a water softener operating properly ought not produce water that has a salty taste since all of the actual salt (NaCl) should have gone out as waste water during back washing. Scientists typically measure water hardness using one of two scales: Grains per Gallon (GPG) and Parts per Million (ppm). One grain per gallon of hardness equals approximately 17.1 ppm of hardness. You may also see ppm expressed as milligrams per liter (mg/L) in some literature. Water that contains less than 1 GPG or 17.1 ppm hardness gets labeled as ‘soft’. Water that contains between 1 and 3.5 GPG, or 17.1 to 60 ppm, hardness gets labeled as ‘slightly hard’. Water that contains between 3.5 and 7 GPG, or 60 to 120 ppm, hardness gets labeled as ‘moderately hard’. Water that contains between 7 and 10.5 GPG, or 120 to 180 ppm, hardness gets labeled as ‘hard’. Water that contains between greater than 10.5 GPG, or 180 ppm, hardness gets labeled as ‘very hard’.